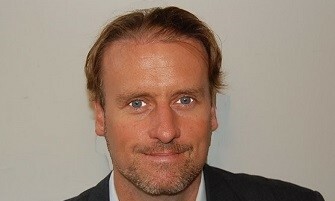 Wunderman has appointed Will Halliday (pictured) as strategic planning director in Singapore, with immediate effect. In his new role, Halliday will be leading the planning and strategy department of Wunderman in Singapore, spearheading digital and data driven communications for local and regional accounts such as Microsoft and P&G. He will also report to Stephane Faggianelli, president, Wunderman Asia Pacific and Nimesh Desai, general manager, Wunderman Singapore. Halliday has strategic and creative experience across APAC, with a decade long experience with global networks like Tequila and Publicis. He has also previously worked with clients such as Apple, Microsoft, P&G, Citibank, IKEA and Virgin Mobile. “I am delighted to be joining a dynamic team, driving strategic planning focus to solve our client’s business and marketing problems. Wunderman, as the largest digital agency network, is ideally placed to create a nexus between strategy, creative, data and technology,” said Halliday. “Will Halliday is a great addition to our team in APAC; he has an exceptional profile with deep understanding of consumers, creative process, digital and data. I look forward to him playing a key role in driving and delivering business results for our clients,” Faggianelli said.